Hooray for What! 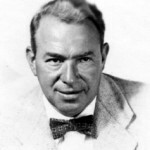 Yip Harburg’s Songs and Poems of Love and War (2005). This second annual concert to celebrate the Yip Harburg Documentary Collection was held on April 7, 2005 and featured Stephen Bogardus, Catherine Russell and Diane Sutherland, as well as Ben Harburg (Yip’s grandson). The concert was narrated by Deena Rosenberg, directed by Michael Montel and musical directed by David Brunetti, also on piano. This DVD is not a commercial product but is available from the Yip Harburg Foundation.